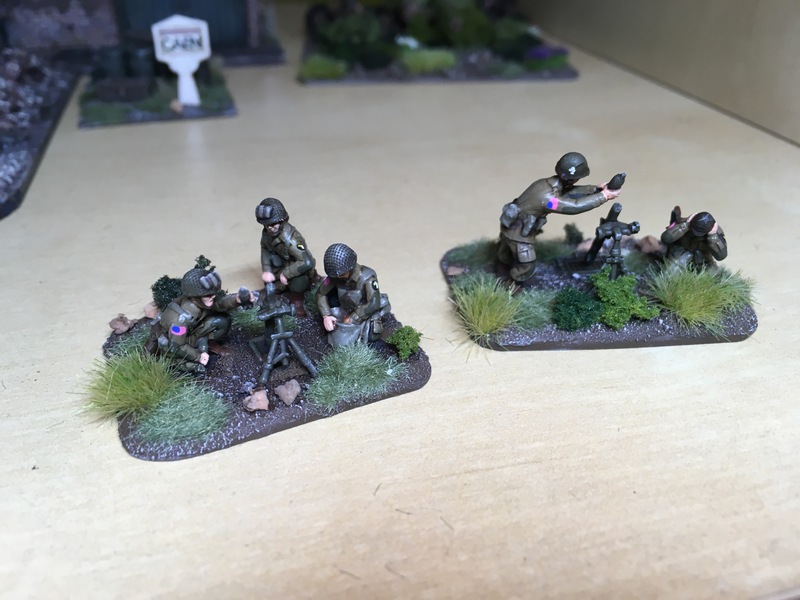 Here are some mortars for my screaming eagles. 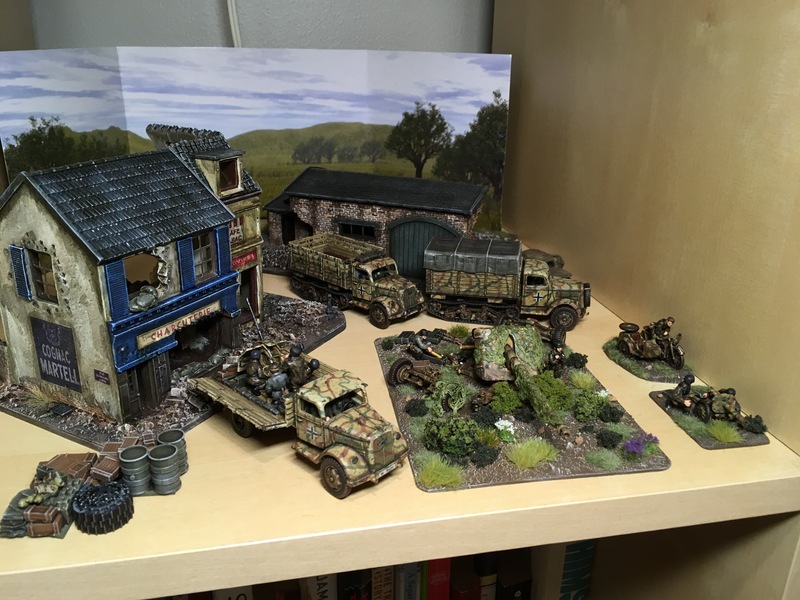 Figures are TQD. 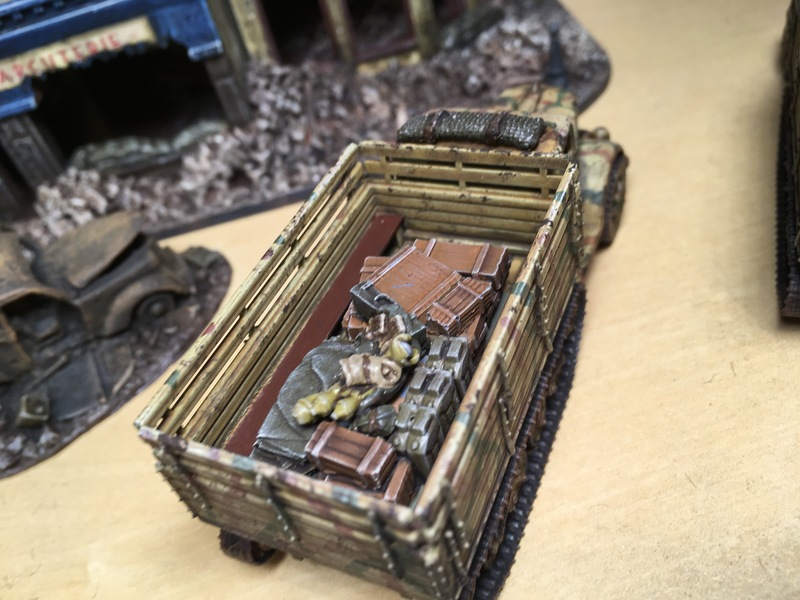 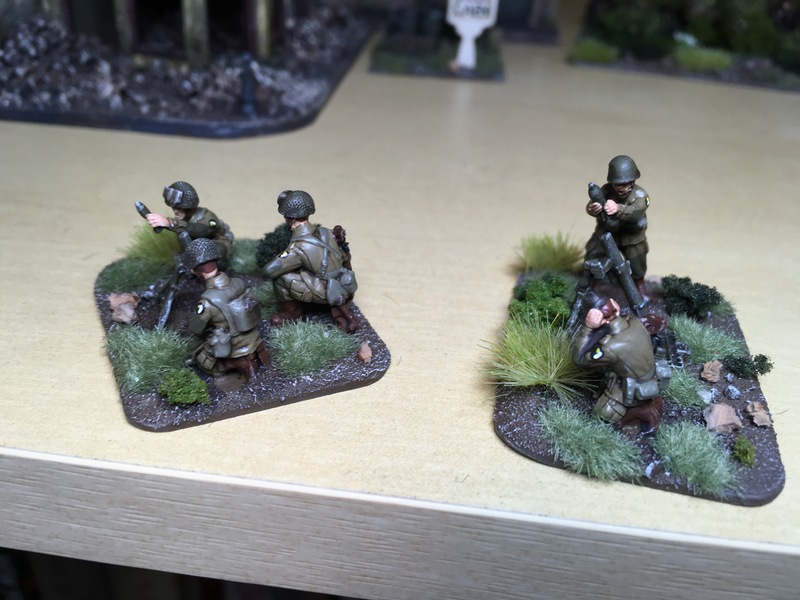 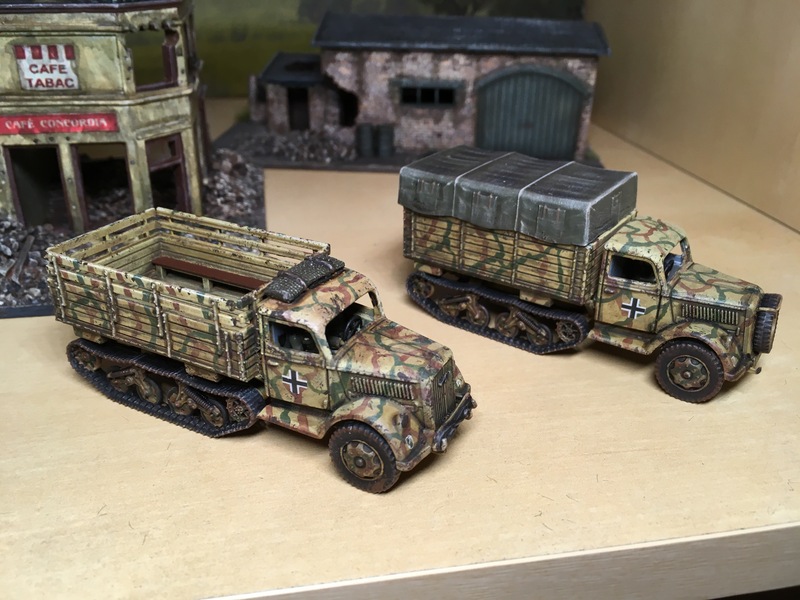 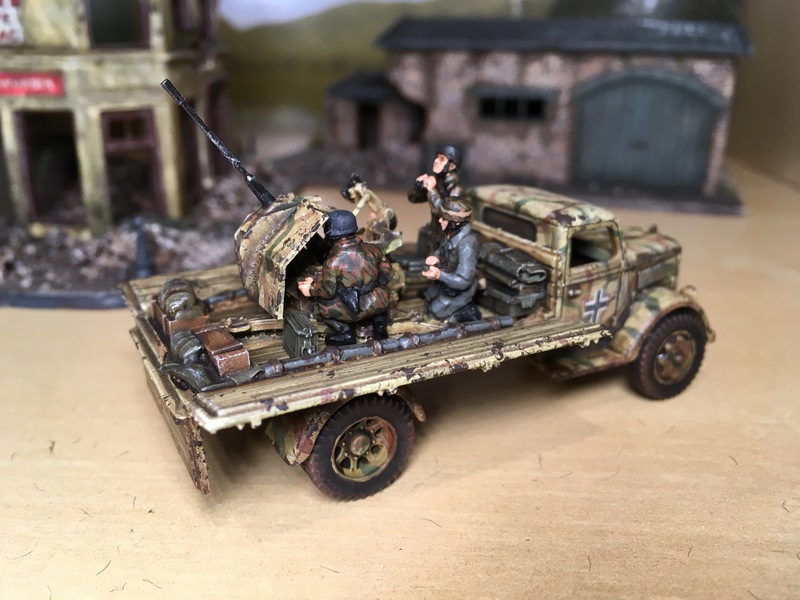 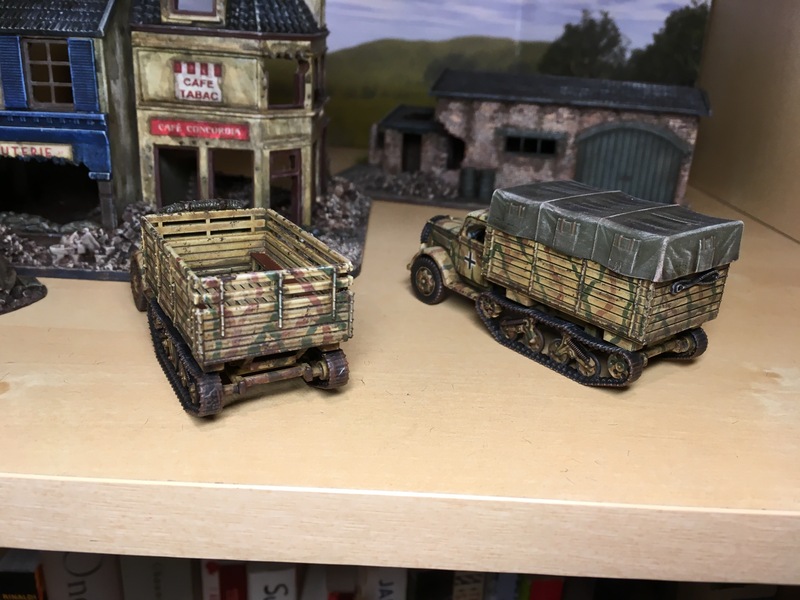 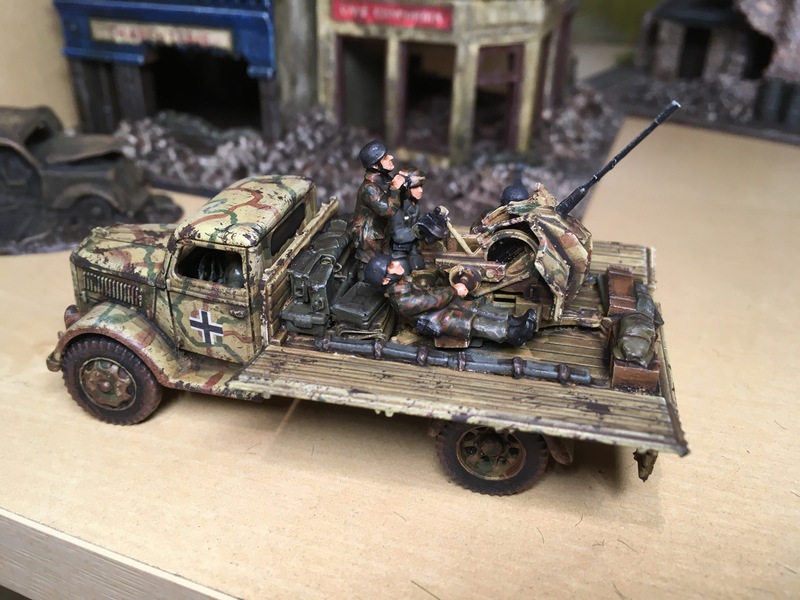 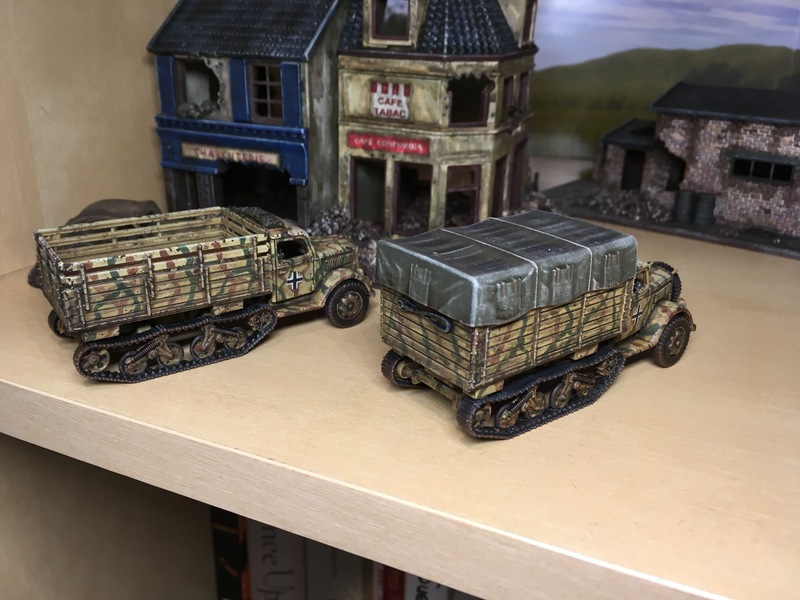 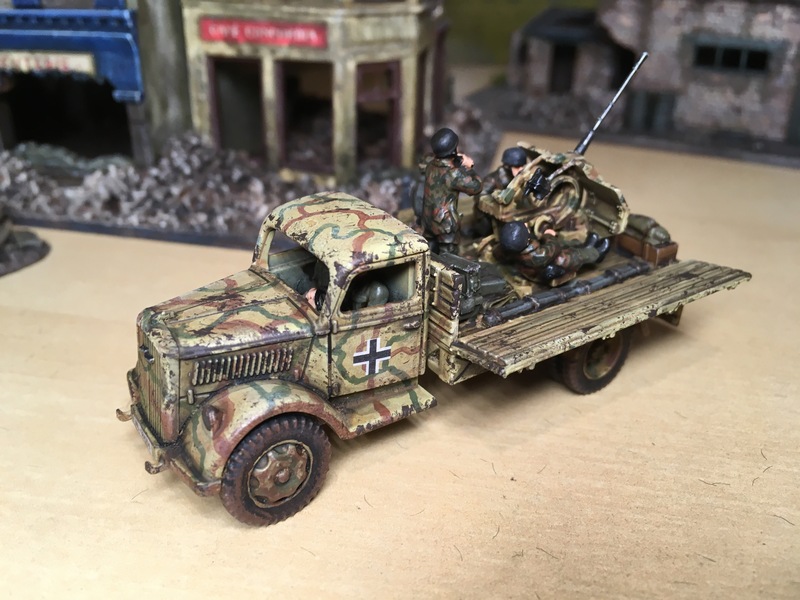 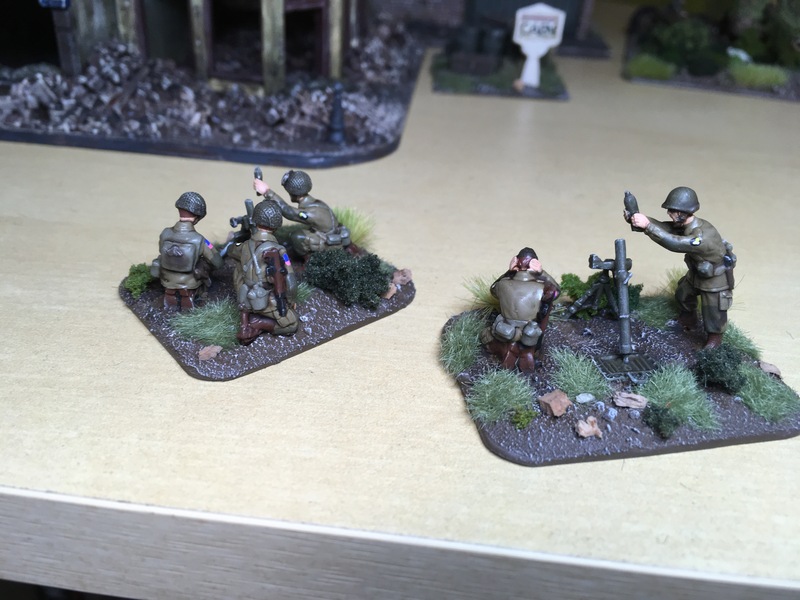 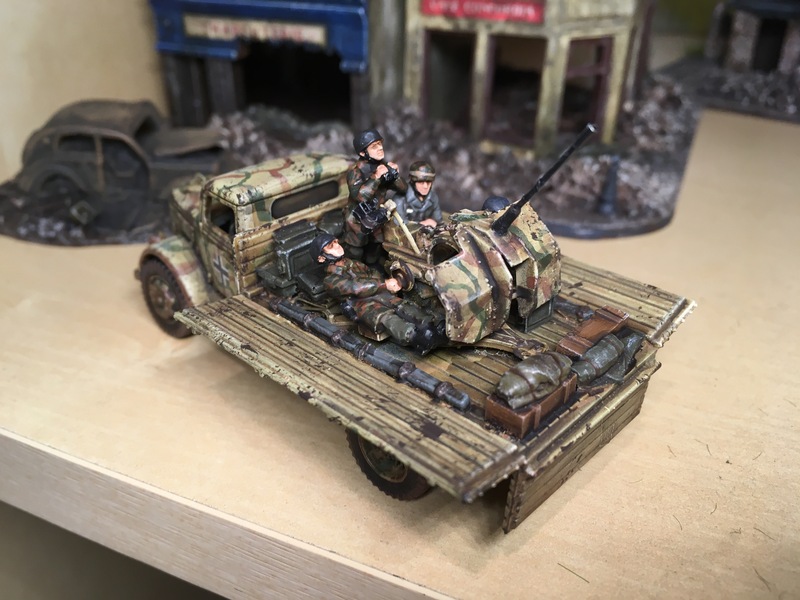 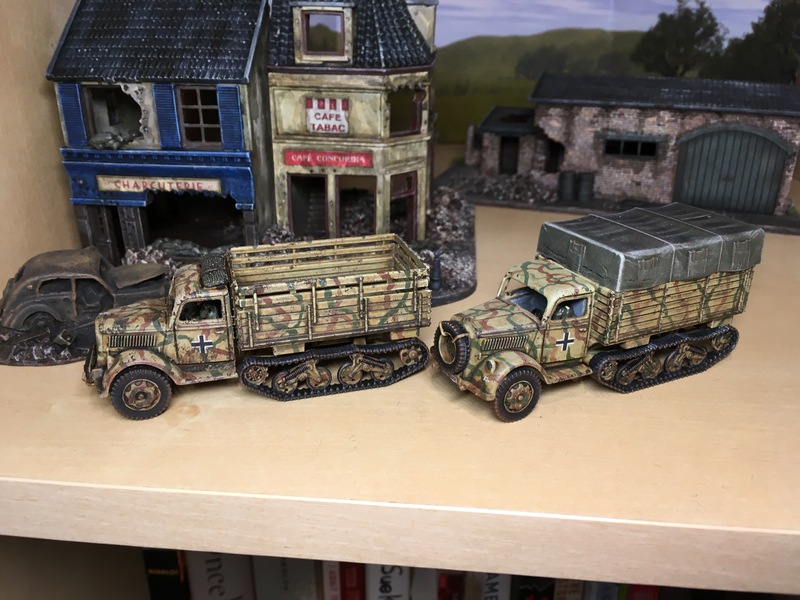 Below are some shots of new FJ units and some generic Opel Maultiers. 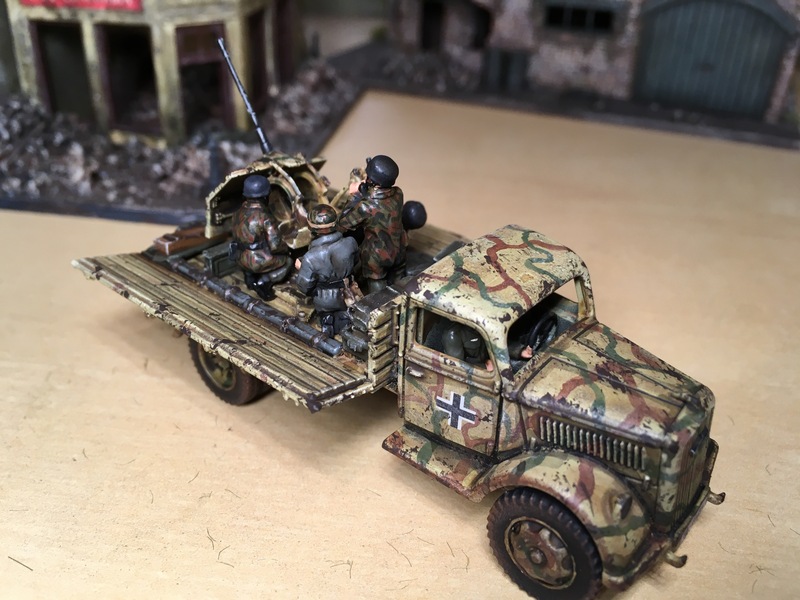 Trucks are PSC, figures AB, SHQ, and motorcycle and flak are Zvezda. 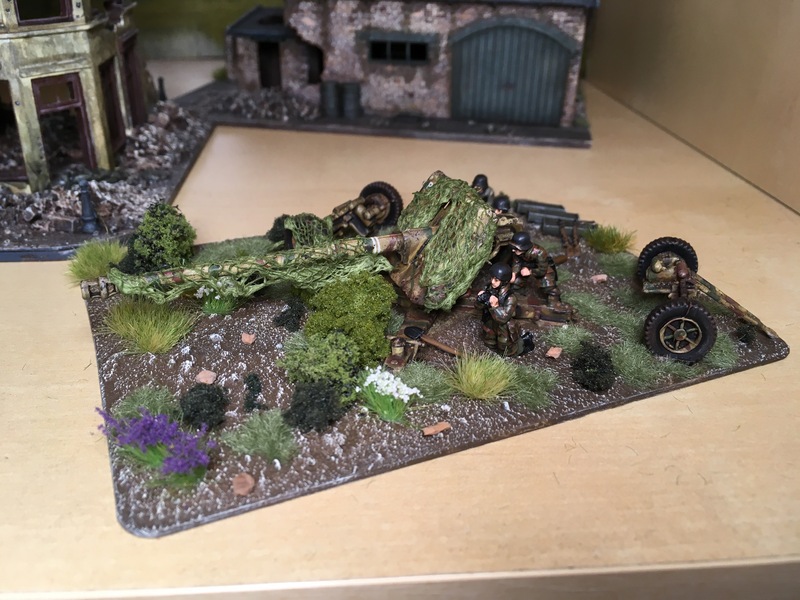 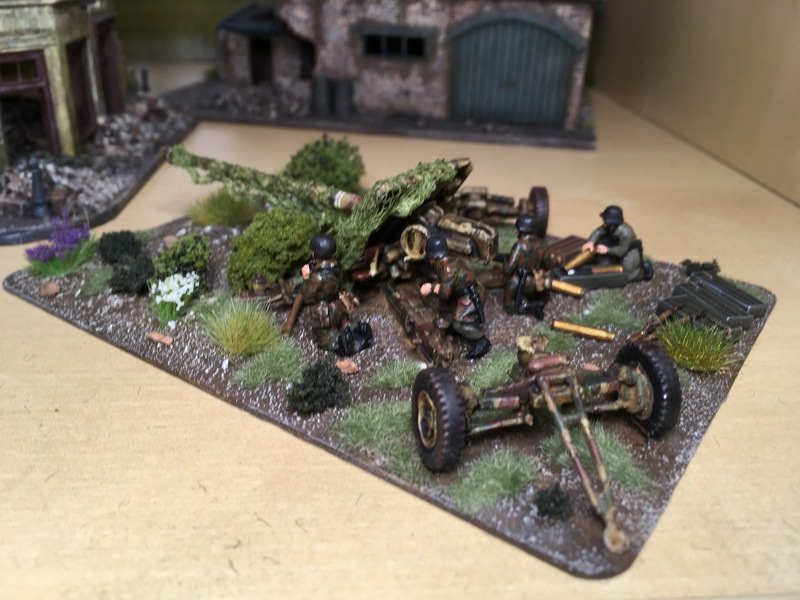 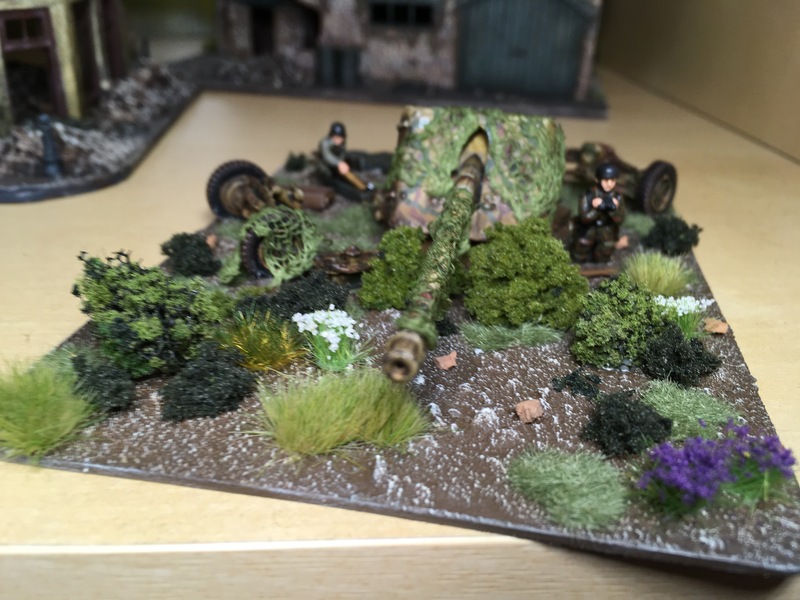 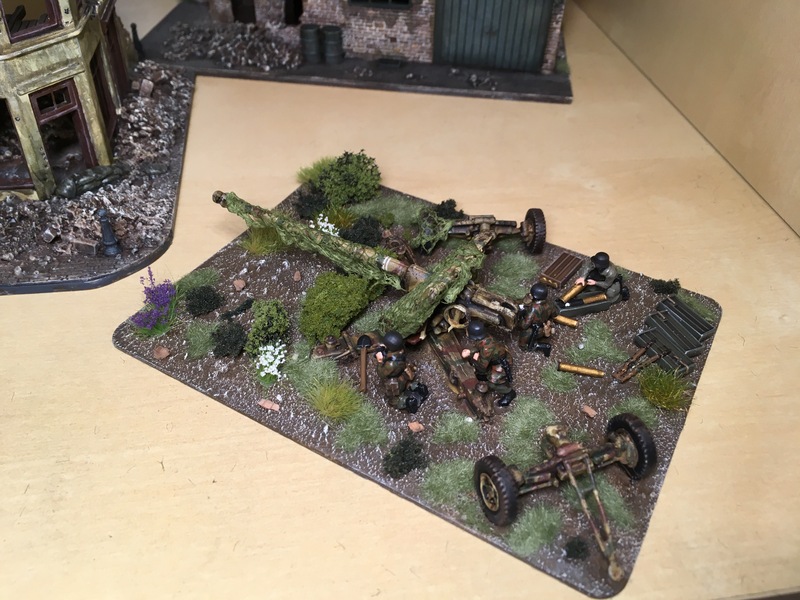 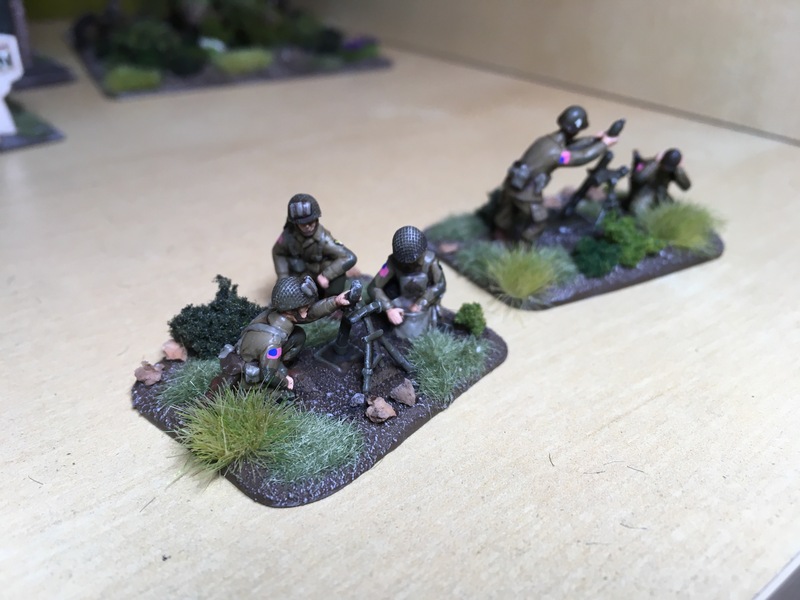 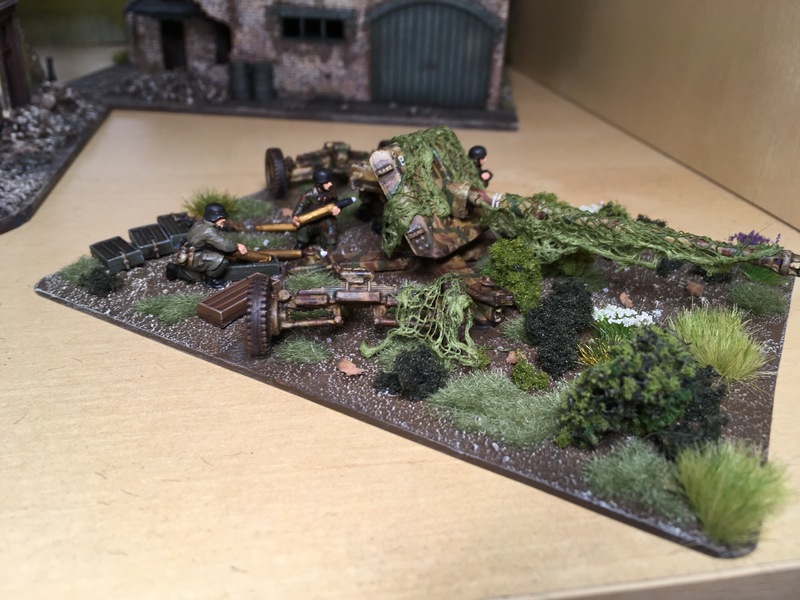 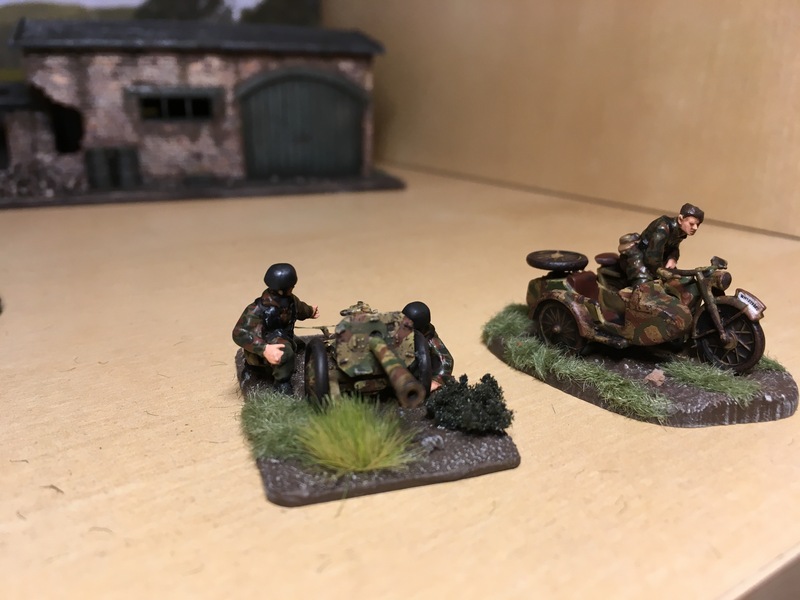 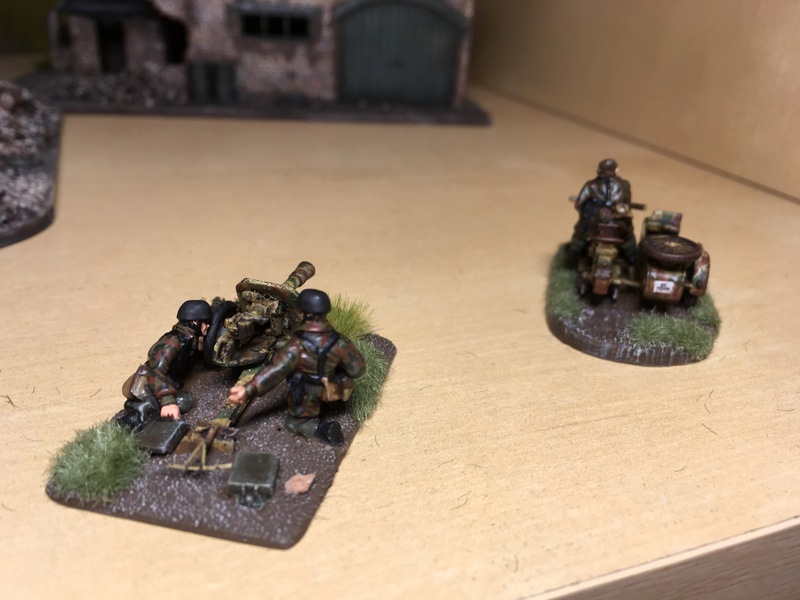 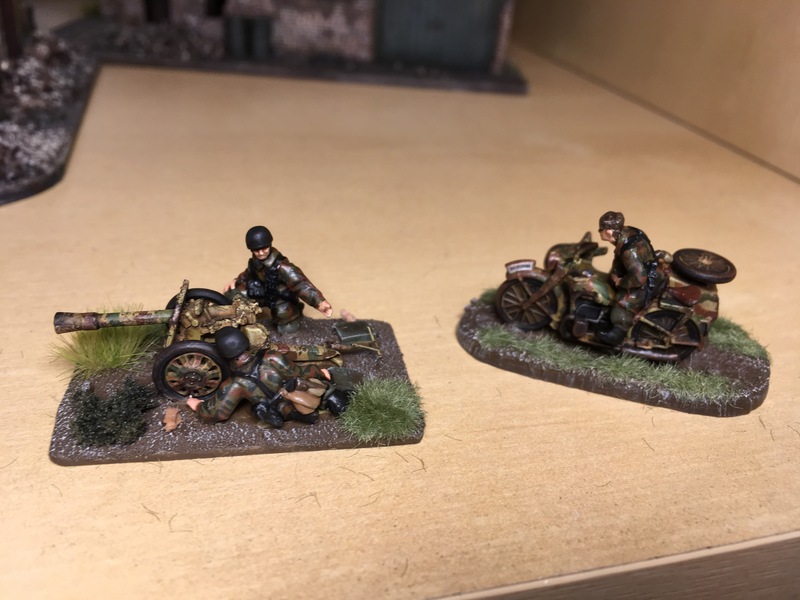 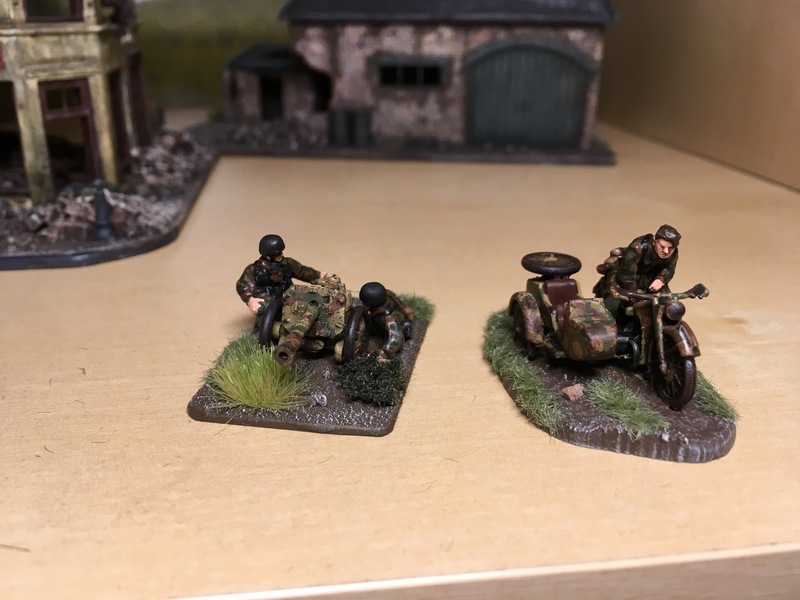 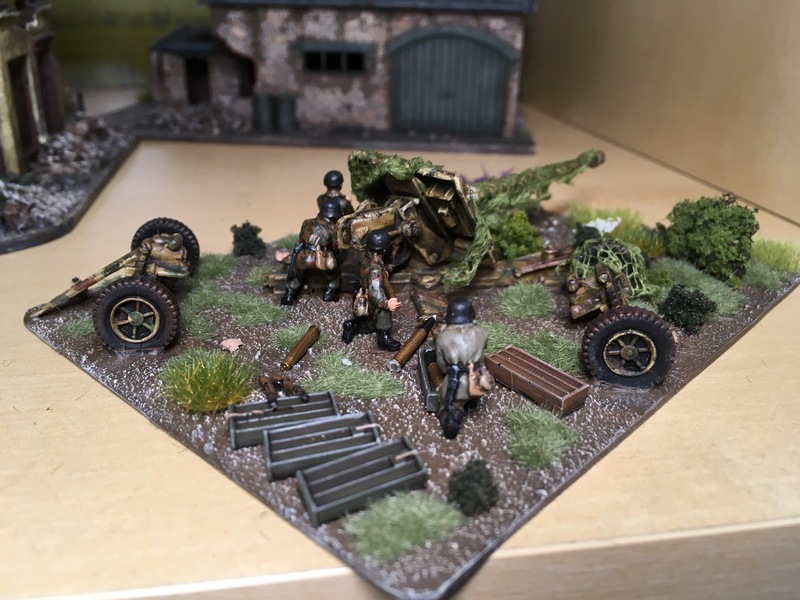 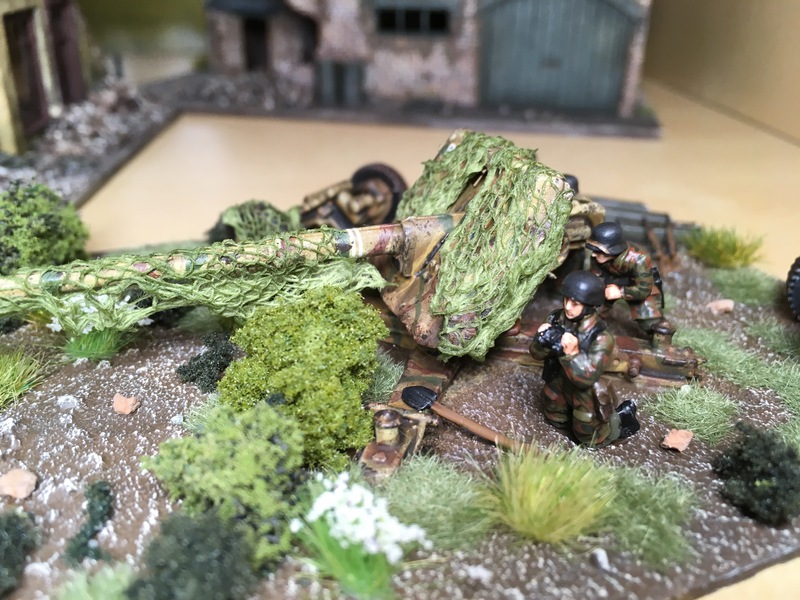 The squeezebore 88 is S Models and Pak 43 is Early War Miniatures.